I heartily recommend this Italian language book to my own guests, all students and travellers visiting Italy for the first time. It really is the best book to learn Italian for beginners. 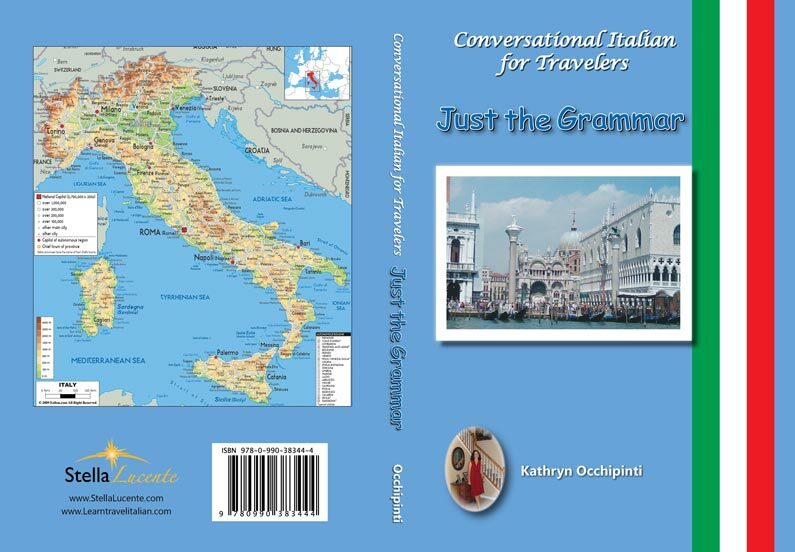 ‘Conversational Italian for Travelers‘ by Dr. Kathryn Occhipinti, a radiologist of Italian-American descent, who has been leading Italian language groups in the Peoria and Chicago areas for about 10 years. During that time, she founded Stella Lucente, LLC, a publishing company focused on instructional language books designed to make learning a second language easy and enjoyable for the adult audience. 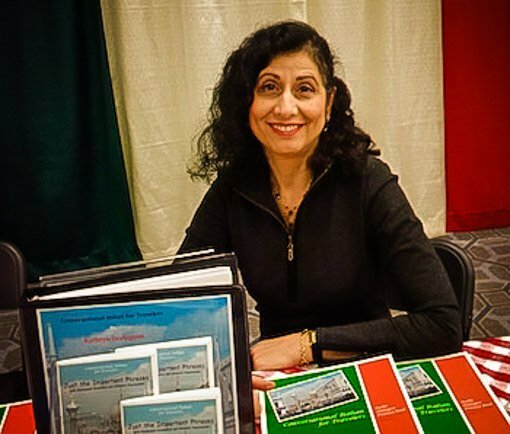 Using her experiences as a teacher and frequent traveller to Italy, she wrote the Conversational Italian for Travelers series of books, which follow the character Caterina on her travels through Italy, while at the same time introducing the fundamentals of the Italian language. This series of books is truly different from other Italian language books. The Conversational books are friendly, humorous, and combine travel tips with language lessons. These books also provide a method for people to understand and remember Italian phrases so that they can create their own. Everything one needs to know to travel to Italy is in this series of books! The website learntravelitalian.com, which is the home of the books, provides FREE interactive dialogues recorded by native Italian speakers, cultural notes, and Italian recipes to make learning the language really come alive. Facebook Open Group: Conversational Italian! A methodology created by a student of Italian, as she herself learns. But, this student is not only passionate about learning Italian, she is a scientist - a truly unique combination! Kathryn Occhipinti has created this book and the many fabulous add-ons to the series, in a truly comprehensive and practical format. Working her way through the language, building bit by bit, she is always mindful of the conversational, and idiomatic way that Italians think, and speak. Grammar is explained as needed – and comprehensively: an important solid base on which to build. 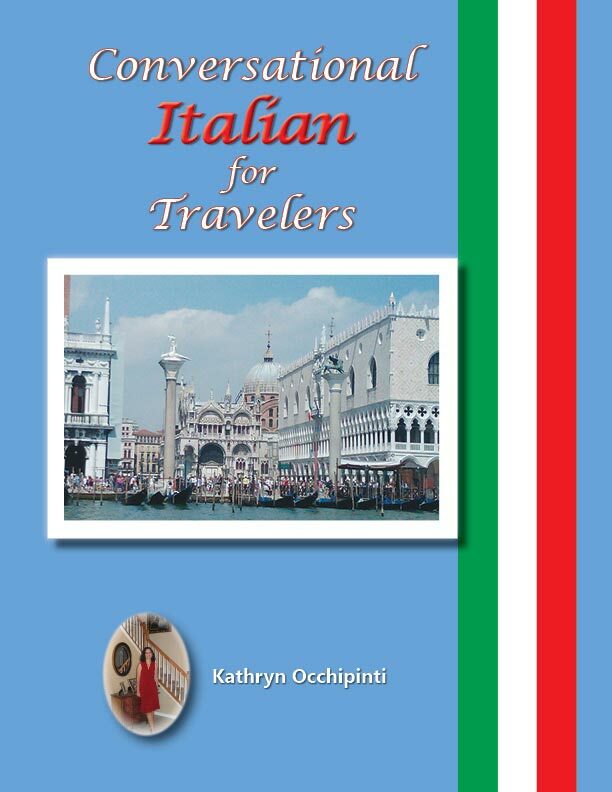 I heartily recommend this to students and travellers – and certainly to my own guests, some of whom are travelling to Italy for the first time. Although most are already studying Italian, they are not so well equipped when it comes to day to day speaking. Their practical knowledge of useful phraseology is often lacking, but this is what they need the most to enjoy their holiday.